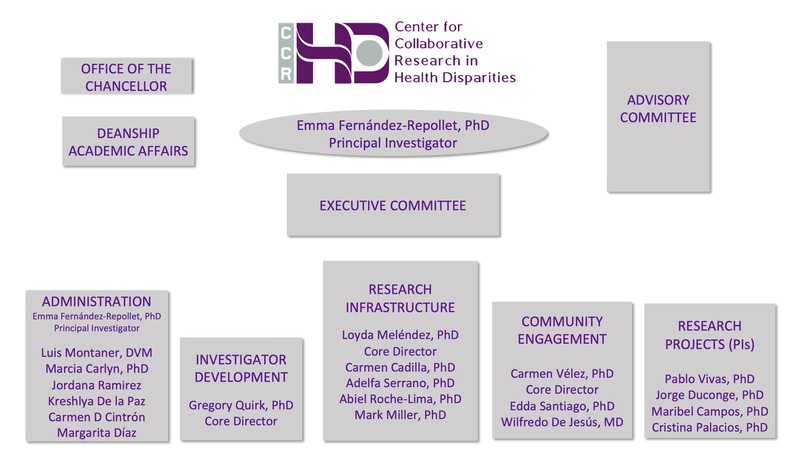 The CCRHD envisions to create a collaborative center widely recognized as a model of excellence in promoting research in minority health and health disparities, contributing to a diverse biomedical research workforce, and closely interacting with the community, with the goal to improve the health of the Puerto Rican population. To contribute to the national infrastructure and the capacity for research in the health sciences by supporting basic, behavioral and clinical studies in health disparities that affect the Puerto Rican population. Establish robust and long-lasting partnerships with community-based organizations.